Image from Dole’s Wearable Banana website. The Tokyo Marathon this year seemed to be more about introducing novel fitness technology than about the running itself. The race was filled with the wackiest fitness tech, like robots that feed you tomatoes while you run and bananas that double as fitness trackers. 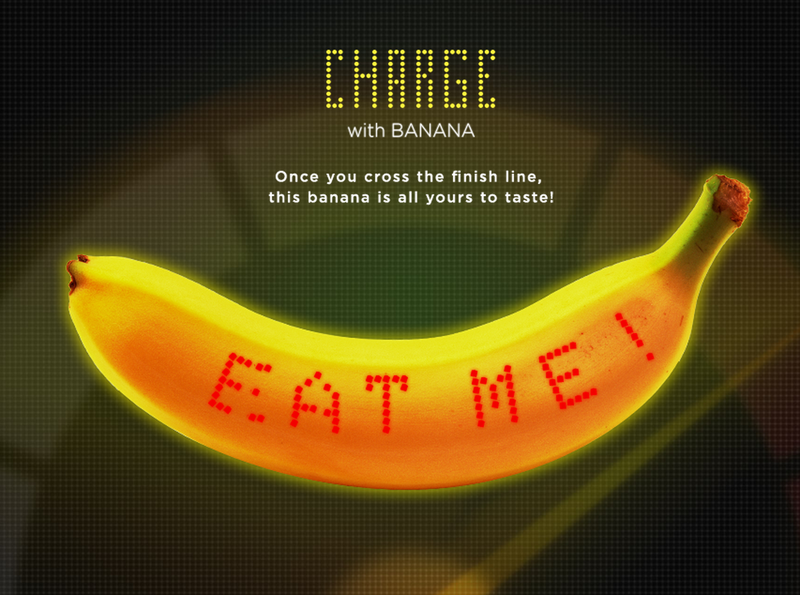 According to the Wearable Banana website, the fruit can track runners’ heart rate and lap time as well as display encouraging social media messages on the peel. And if that wasn’t enough, you can eat it, too, like any ordinary banana. However, you do have to wait until after the race to indulge in the tasty tracker. So why did Dole invest in fruit technology? Well, they sponsored the 2015 Tokyo marathon and gave away some ordinary bananas for free. I think it was more of a PR stunt than anything else, but who knows, maybe fitness-tracking bananas are the health accessory that we never knew we wanted.